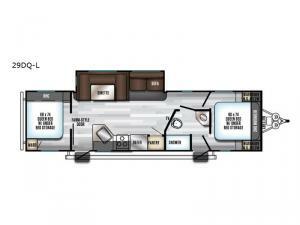 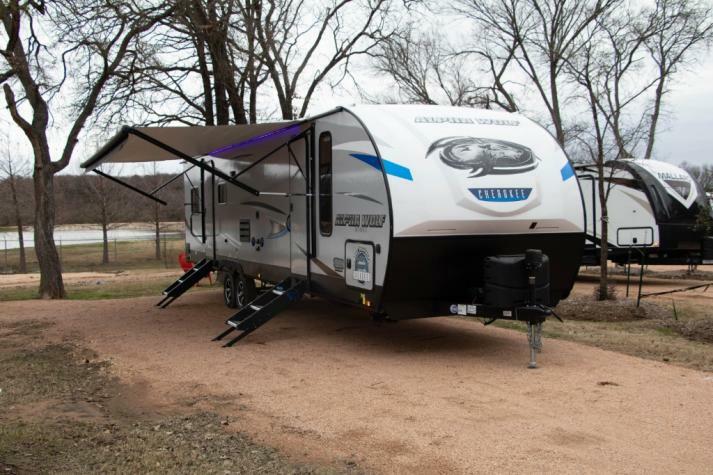 This Cherokee Alpha Wolf travel trailer is an amazing unit that delivers all of the things you love about your own home without making it feel as if you are towing a house. 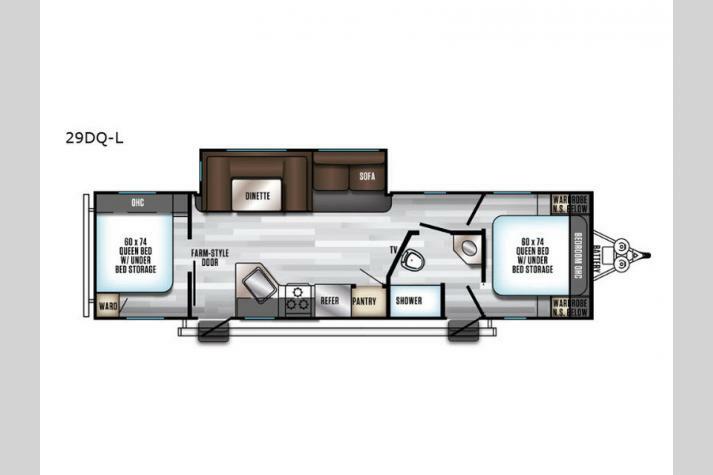 From the rear, private bedroom with its queen-size bed and farm-style door, to the front, master suite with its queen-size bed and private bathroom entrance, this unit delivers the privacy you need as you sleep each night and get ready each morning. 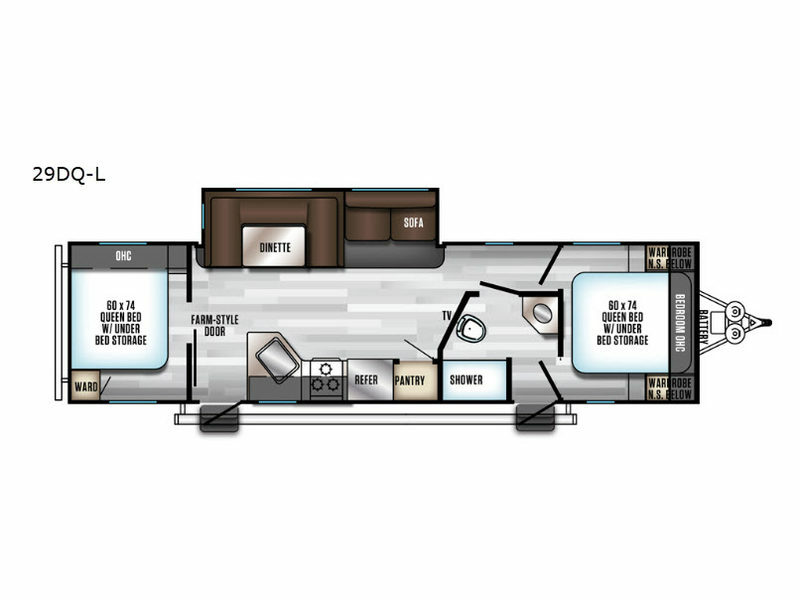 Because this unit can sleep eight people, you will thoroughly appreciate all of the tools that come included in the full kitchen when it comes time to prepare enough food to feed everyone.